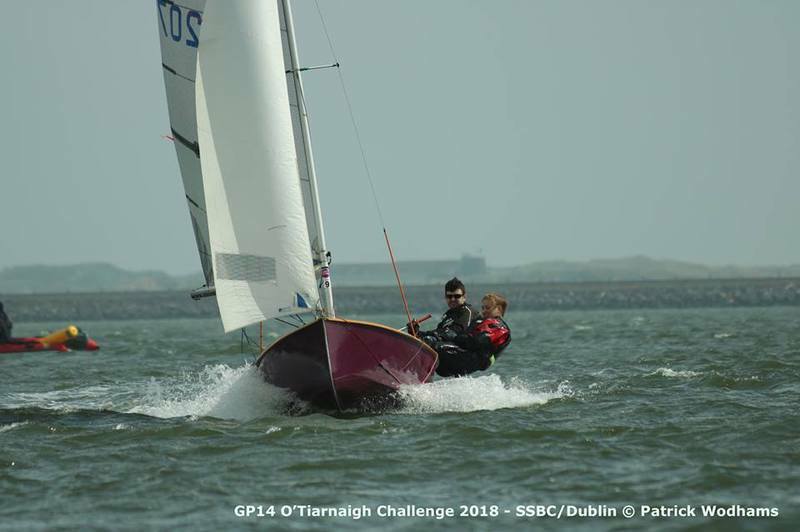 Congratulations to Shane MacCarthy & Damien Bracken on winning the GP14 Leinster Championships 2018 in Skerries. 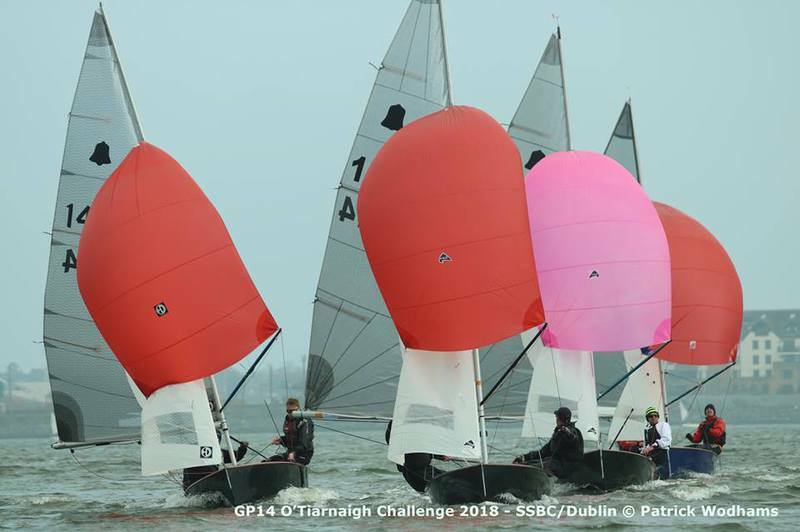 After many weeks of amazing summer weather, the GP14 Leinsters did not disappoint with Skerries producing a fantastic weekend sailing. 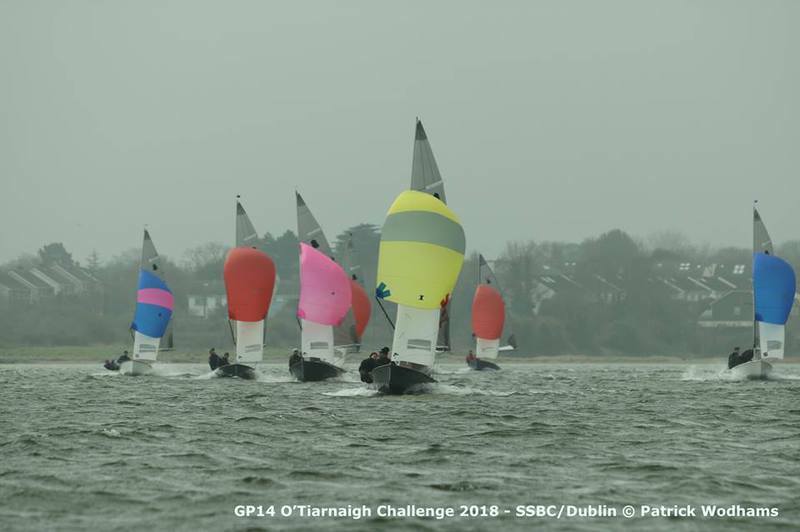 With light winds forecasted all weekend the OD and his team had planned ahead to allow for 4 races to be sailed on the Saturday in preparation of very little wind on the Sunday. In the end it proved to be the right call. 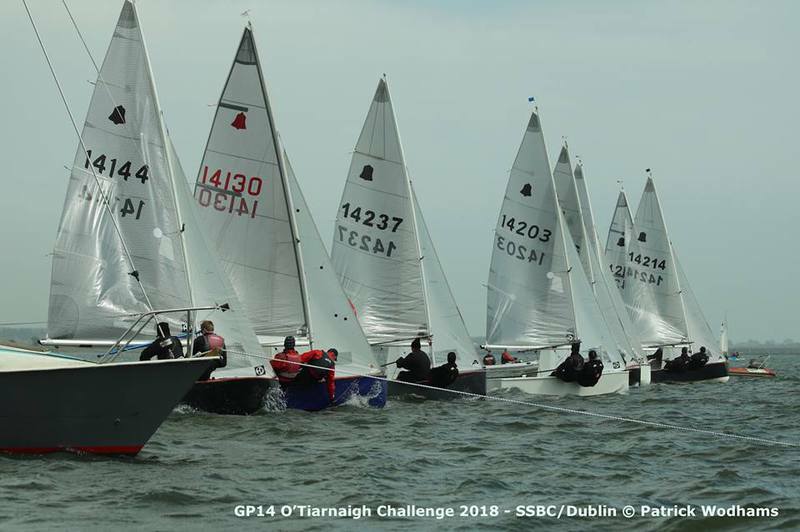 Much to the appreciation of the fleet, gate starts were proposed for all races, as the Mounts Bay bound Irish contingent prepared for the 2018 World Championships. With only a handful of very late, barging boats, the gate starts worked very well. 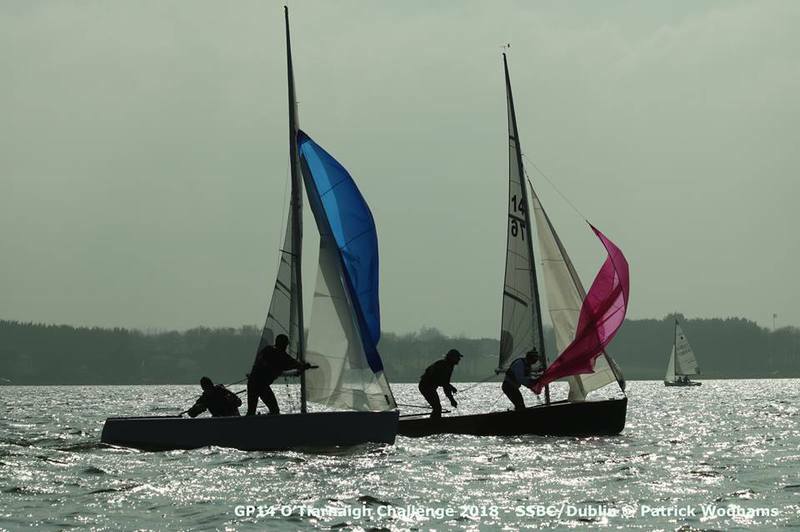 With many boats benefitting from the great coaching sessions organised by the class earlier in the year, these gate starts have become a lot less intimidating for sailors not as accustomed to them. The racing was very tight as the results from day 1 would tell you, with 4 different race winners the championship was still well open going into Sunday. 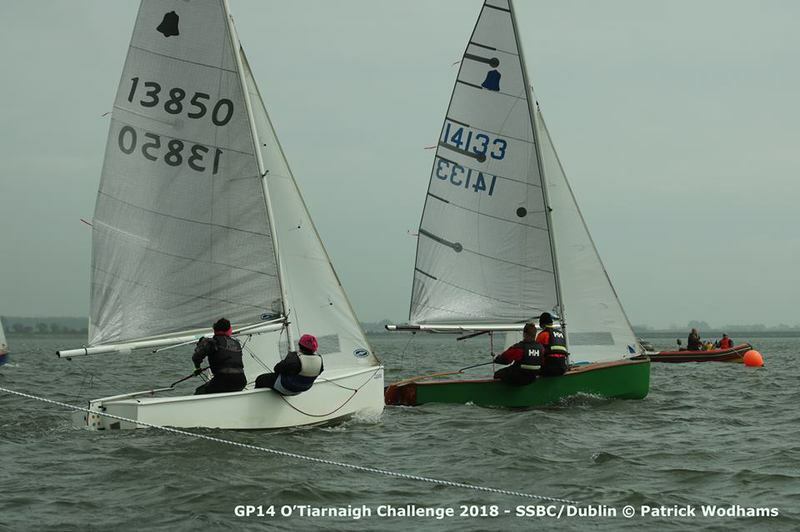 Shane Mac Carthy & Damien Bracken took 1st honours in race one followed closely by Ger Owens and Melanie Morris in 2nd and a great performance by youth helm Peter Boyle crewed by father Stephen taking 3rd. 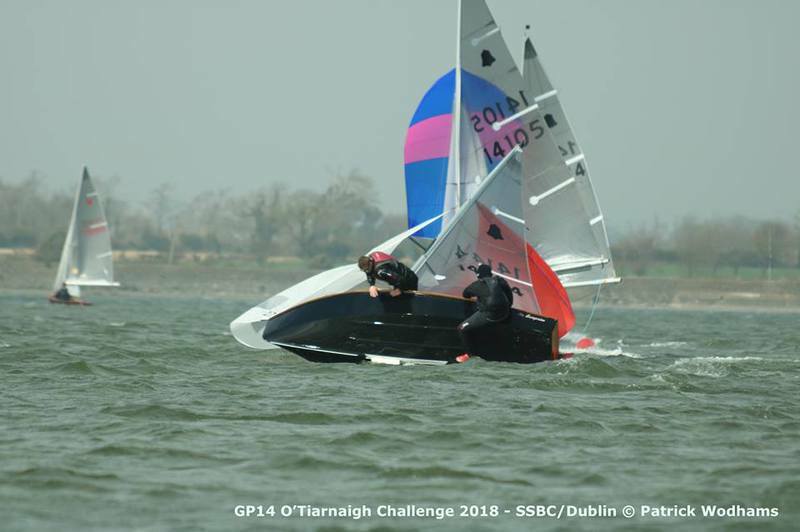 Ger & Mel took 1st in race 2, Niall Henry & Oisin Geraghty taking 1st in race 3, and Alan Blay & David Johnston winning the last race of the day. With only 2 points separating 2nd and 4th place, and then a further 3 to 1st, the championship was wide open. 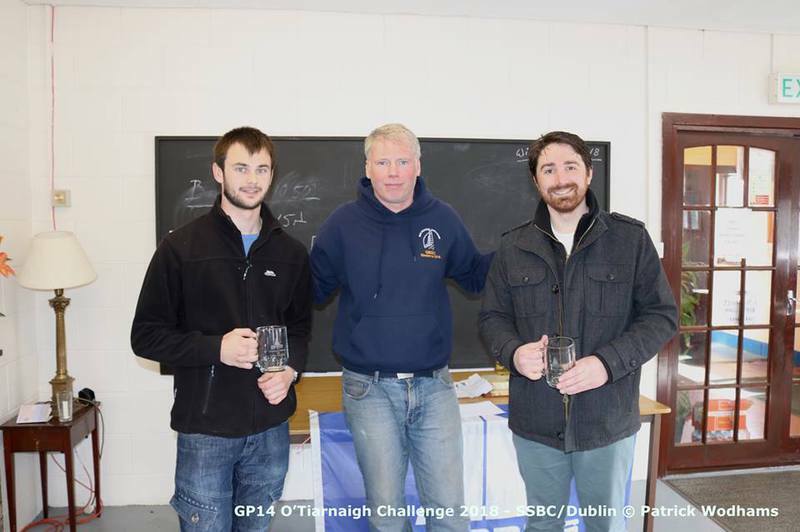 Despite matching Ger & Mel with a 2nd and 1st on the final day (with time to spare for Alan to answer the call from nature up the final beat), Alan & David had to settle for 3rd overall as Shane & Damien had done enough with a 3 and 5 to earn them top spot and another Leinster Championship. Ger & Mel narrowly missing out by 1 point. 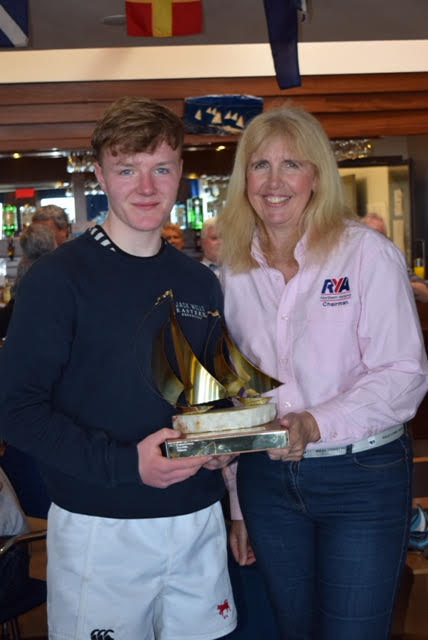 The youth fleet was very competitive with Gareth & Richard Gallagher taking it overall with Josh Porter & Sara Gowdy 2nd youth followed by Peter & Stephen Boyle in 3rd. All 3 within 7 points of each other. 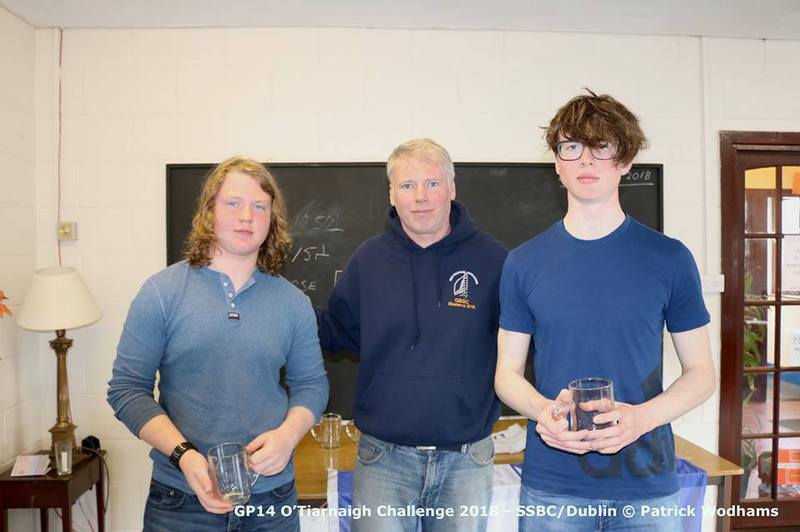 Josh & Sara won Silver, Peter & Stephen Boyle in 2nd with Cathal Sheridan & David Cooke 3rd. 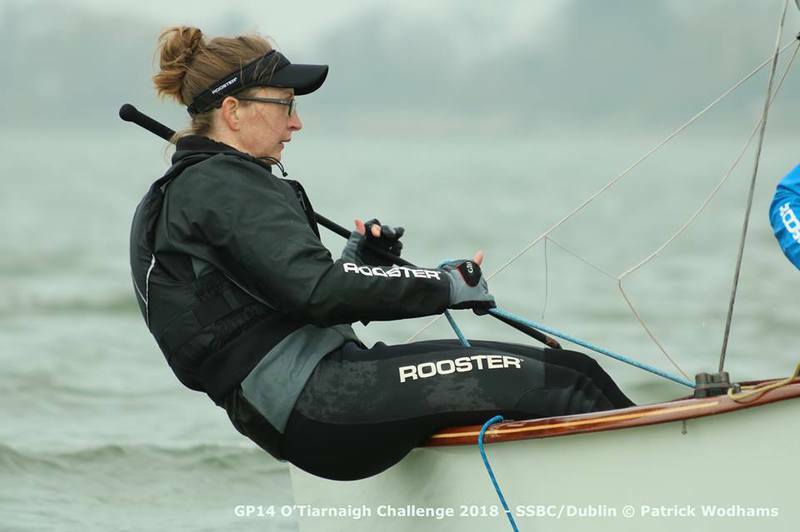 Thank you to all in Skerries Sailing Club for hosting such a fantastic event in testing conditions. Congratulations to Shane MacCarthy & Damien Bracken on winning the Purcell Trophy 2018. The sailing on Saturday had to be abandoned due to lack of wind. But on Sunday the fleet of 17 boats got to set sail. The wind was light & shifty but Race Officer Vincent Rafter got races 4-6 successfully sailed. Race 4 saw Keith Louden and Alan Thompson win with Norman Lee and Jordan Lugton in 2nd place. Race 5 saw Alan Pinder and Jack Hayes take the gun ahead of Shane MacCarthy and Damian Bracken. The last race 6 was won by Shane MacCarthy and Damian Bracken with Alan Blay and David Johnston finishing 2nd. Thanks to Lough Ree YC for their hospitality and organising the event. 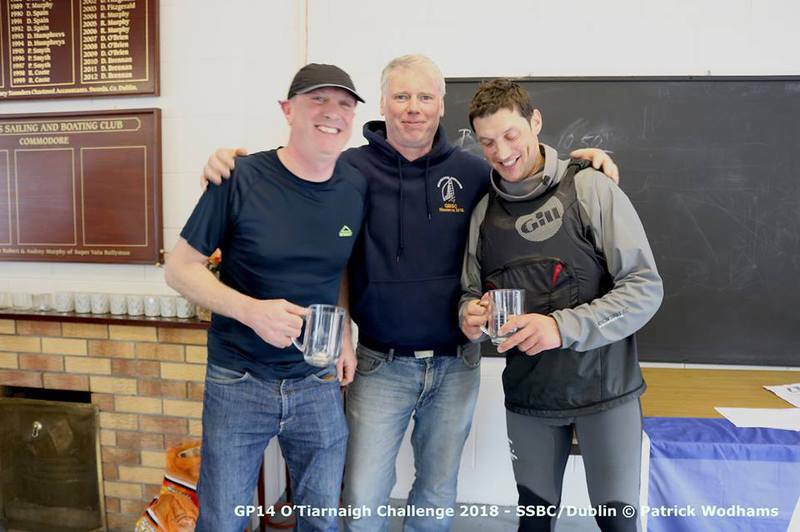 Congratulations to Shane MacCarthy and crew Andy Davis taking the 2018 Ulster Championships over a sunny weekend at Donaghadee SC. Silver fleet winner was Peter & Stephen Boyle with Peter also taking the Ulster Youth Championship trophy. Bronze fleet win was taken by Jack Buttimer & Adam McDonagh. 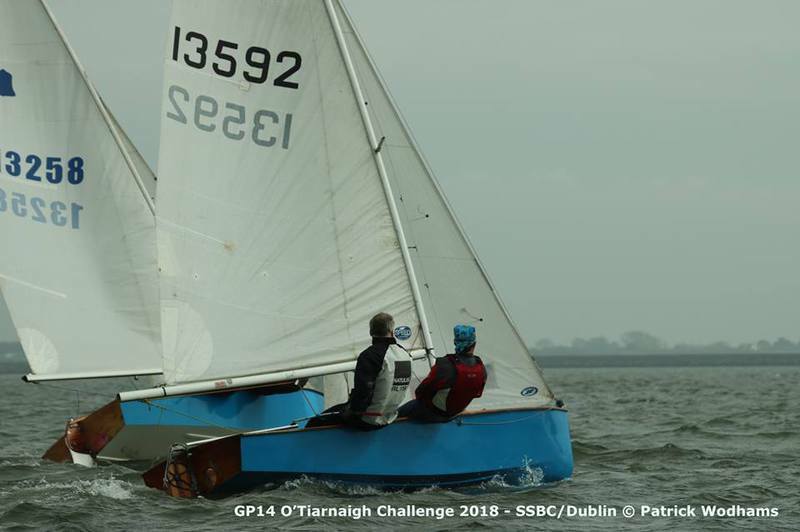 The OOD Ruan O’Tiarnaigh got the first race off at 12pm in a moderate breeze. 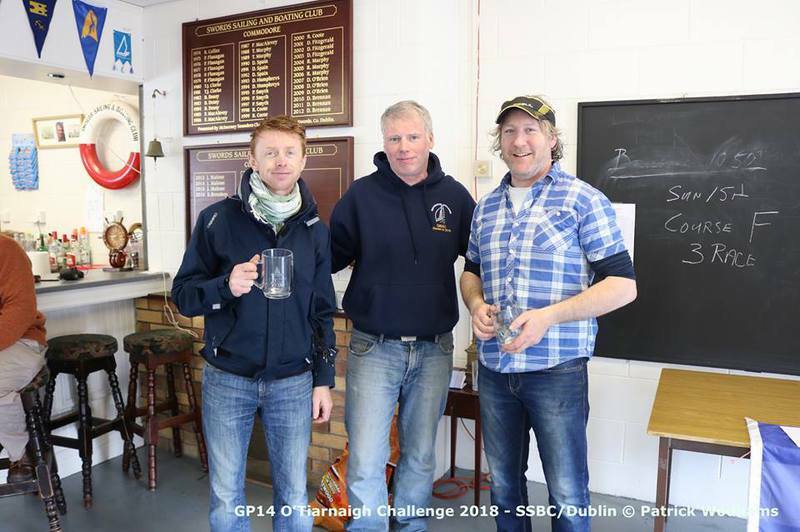 Ger Owens with his crew Damien Bracken dominated the first two races with two bullets after the McGuiness brothers, first home in race 2 were deemed OCS. 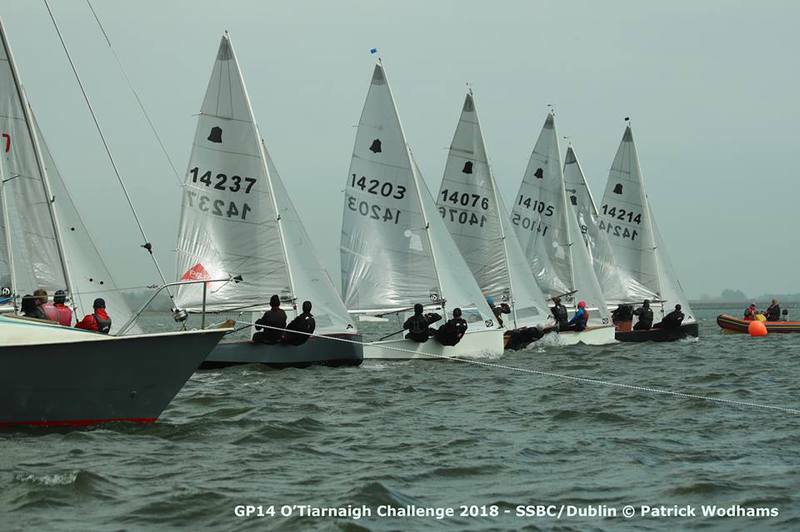 After a general recall in race six, OOD Ruan O’Tiarnaigh eventually ran out of time and sent us home to the delight of many in the fleet. Many thanks to Donaghadee Sailing Club for the great hospitality and a fantastic event and to Ruan for the great courses.. 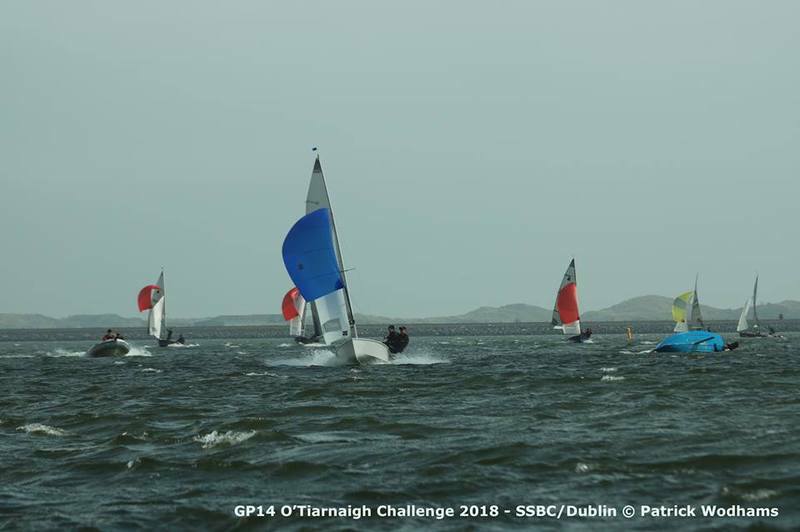 The forecast for the O'Tiarnaigh Challenge 2018 was moderate to fresh breeze for the Saturday and strong breeze and up to 30knots of gusts for the Sunday. 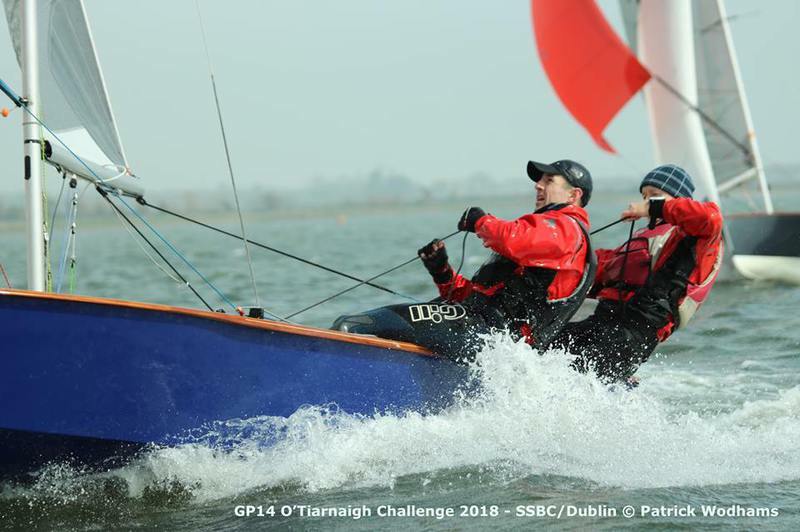 OD Peter Smyth at the Saturday morning briefing made the decision to sail all 6 qualifying races instead of the scheduled 4 races on the Saturday. 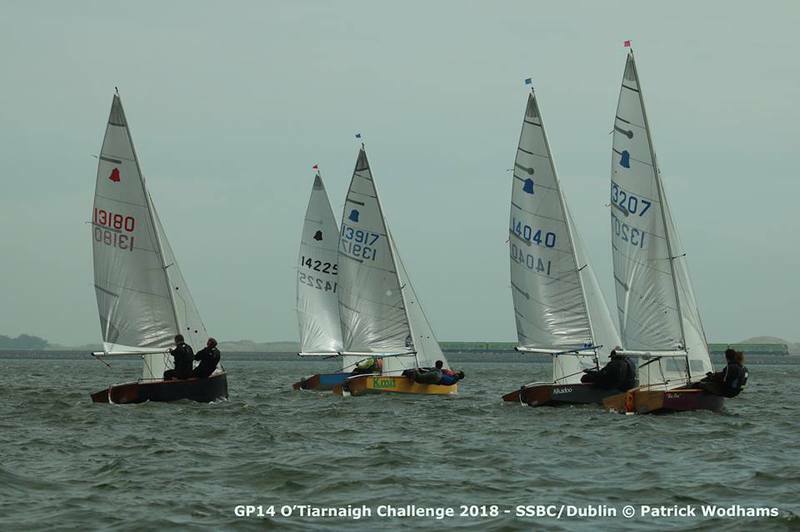 The fleet of 19 set off in their own fleet starts as Peter got 3 races in before lunch on Saturday with already a few thrills and spills in the growing breeze. The fleet had a quick lunch ashore with warm drinks and rolls provided by Swords. Back on the water to similar winds for the first race but it abated a little giving a more enjoyable final 2 races. The fleet were shore after a long day. 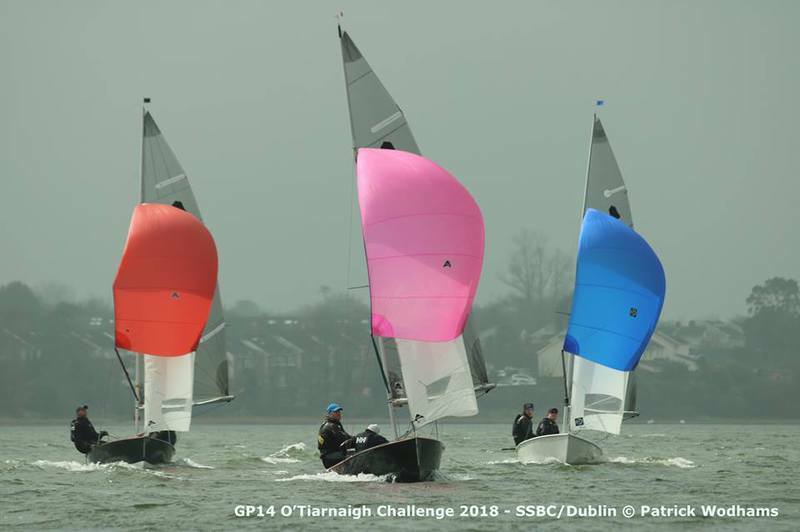 With the 6 races sailed the 4 leaders of each fleet were decided on the Saturday with 3 races scheduled for the Sunday for the final of the O'Tiarnaigh Challenge. 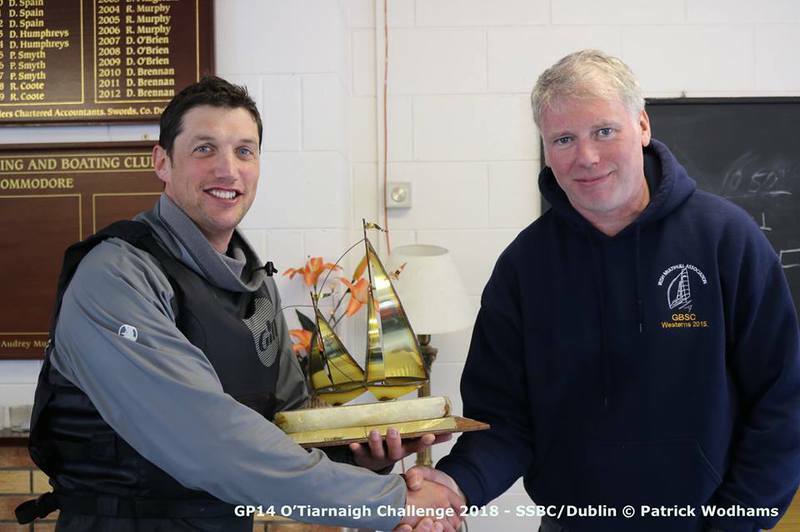 Greystones Shane MacCarthy & Damian Bracken always enjoy the bigger breezes and dominated the 2 days and take another year's succession of winning the O'Tiarnaigh Trophy. 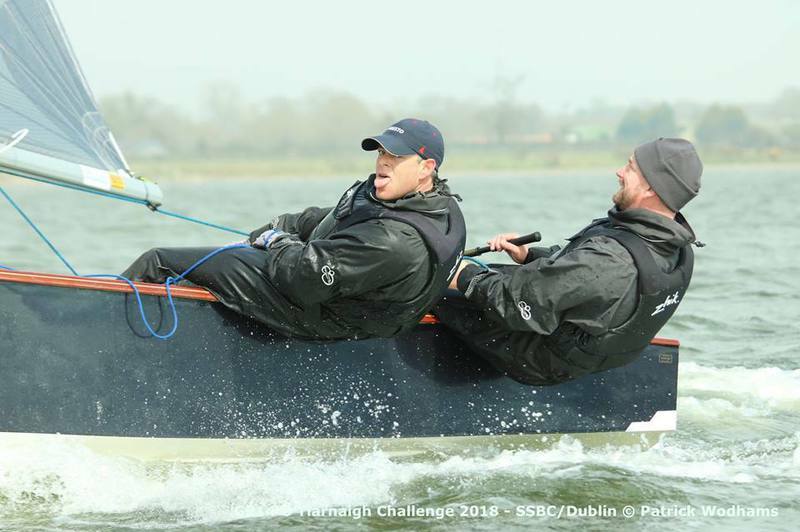 Second overall were Royal St George's Ross Killian with crew Ger Owens followed by a great performance and third place for Newtownards SC Josh Porter and Andy Corkhill. Josh Porter and Andy Corkhill took the Silver win with Youghal's Jack Buttimer & Adam McDonagh taking the Bronze win.